This elegant gold cufflink set can be custom engraved with names and dates or monogrammed with initials. Our high polished gold finish cufflinks look stunning when personalized with an engraving. 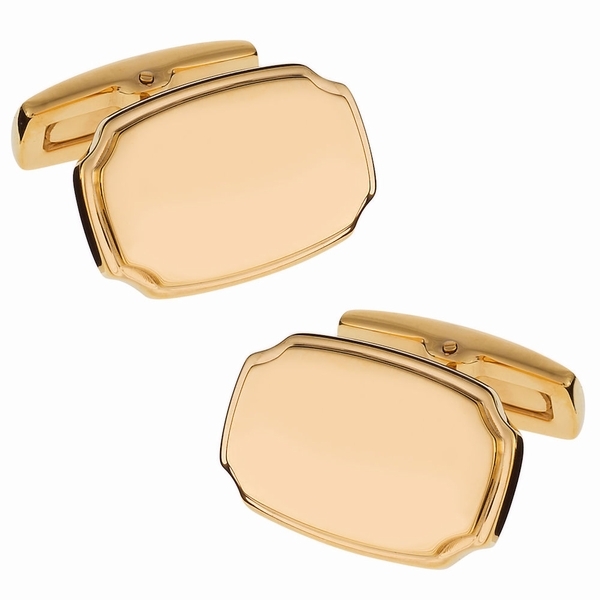 These stainless steel cufflinks have a beautiful beveled edge surrounded by a high polished finished frame to create a stylish accent to any cuffs. All of our high quality cufflinks are precision laser engraved by our expert team of engravers. Please make sure you select your initials in the order you would like them to be engraved as we do not reformat the order once submitted!